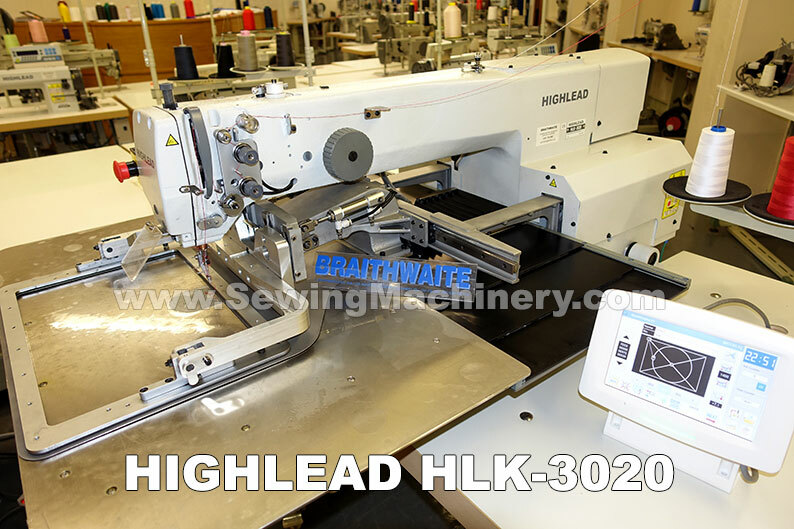 The large sewing area of the Highlead HLK-3020 allows it to be a versatile electronic pattern industrial sewing machine for use in many different sections of the clothing and textile industry. 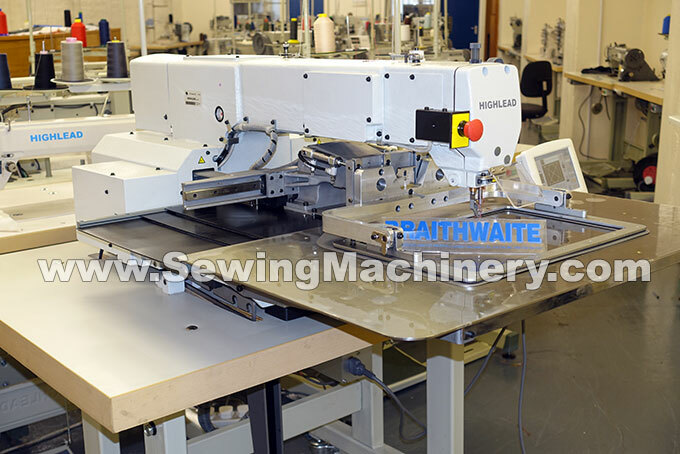 This HLK model features the latest Direct Drive system with a servo motor fitted as part of the sewing machine head; this improves sewing acceleration while greatly reducing power transmission losses and results in energy savings of up-to 40% when compared with conventional machines. Sewing patterns, stitch numbers and stitch length can be set with-in the sewing area using the included hand held programming unit with colour touch screen and easy to use icon driven menus. 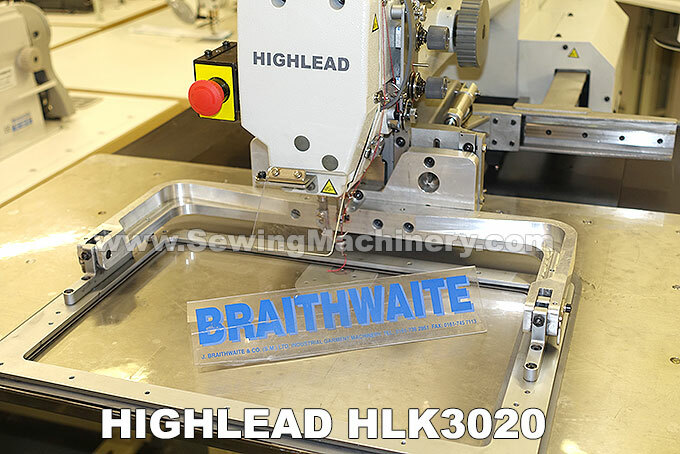 Sewing speeds up-to 2700 stitches per minute are available and the pneumatic work clamp has a high 25mm lift with a stepping presser foot lift movement of up-to 20mm. Minimum stitch resolution is 0.1mm with a maximum stitch length of up-to 12.7mm.